Our One on One practical training is done in the office. We use Skype /Team viewer to connect systems together to train people live on how to design websites. This is recommendable for those whose location is outside Lagos State or cannot make it to our office in Lagos for the training. We also offer Home services/training for those whose schedules are very tight. Want to learn how to design beautiful websites without knowing programming languages? Then you not need to go this far! We are known for what we do. 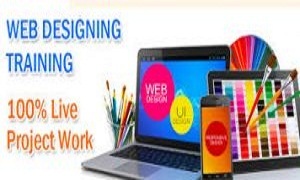 Your money back guarantee if in the end of the Website Training Class You cannot design website yourself. Everything we do is purely practical, thus, showing you how you will do it. We have done it and we’ll still do it and we’ll continue to do it. Here in Nacuneo Concepts Services we derived pride in your success.